The island is often the literal focal point of your kitchen, sitting smack in the middle of the layout. So why not make it the visual focal point as well, with one of these seven stylish kitchen island ideas? A kitchen island doesn't have to be symmetrical or uniform. If your style leans more toward the modern side, or your simple want a unique feature in the kitchen, an hourglass shape like the one below gives it s sculptural feel. Bar stools are one of the best ways to add a dose of style to your kitchen. 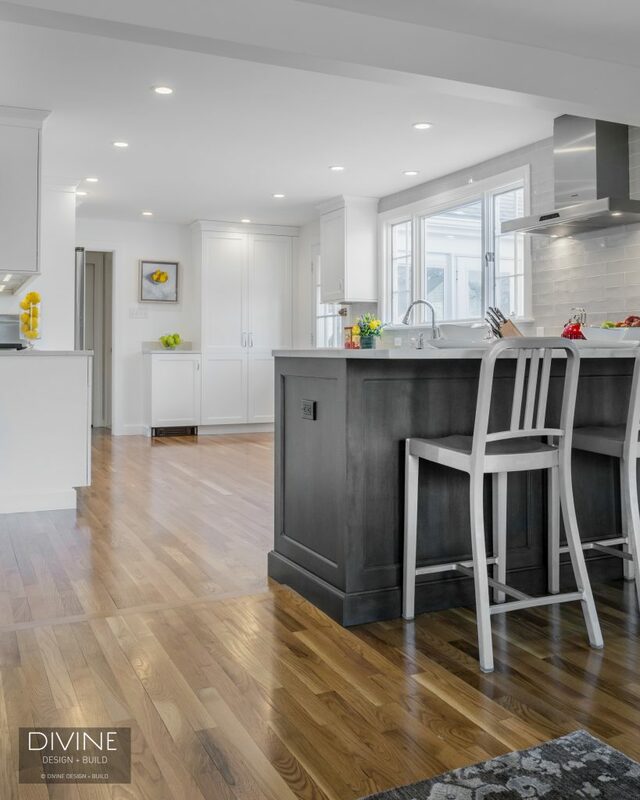 We love the modern look of Navy stools for transitional or contemporary kitchen designs, and often incorporate them into our renovations. If your style skews more traditional or rustic instead of modern, X-back wooden stools add an on-trend farmhouse feel. A waterfall countertop cascades down the sides of the island, too, giving it a more defined, high-end look. Can't decide on a cabinetry color? 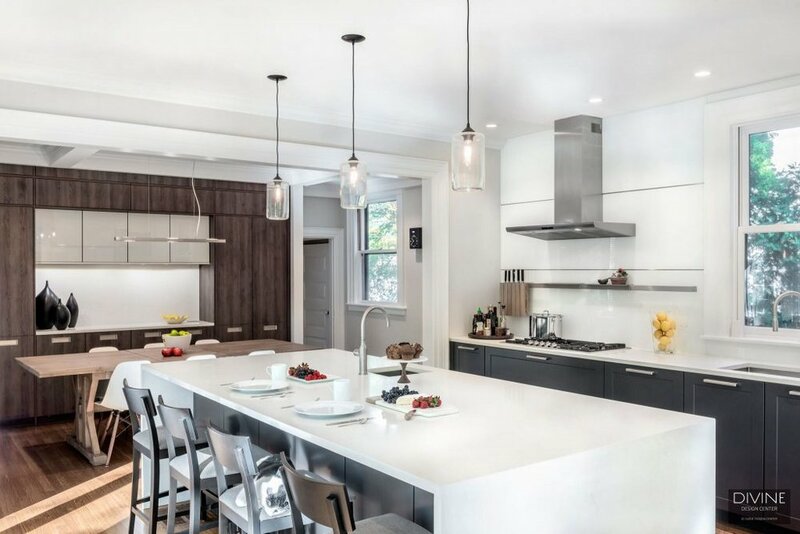 Use your island as a chance to incorporate more than one hue, like the dark gray island in a room full of white cabinets, below. We love how the darker color adds gravitas and contrast to the room. Shelving along the island gives you a chance both for extra organization and extra style. Book add color and interest to the island, or add in a few favorite vases or picture frames for a decorative vignette. Add seating to one end of the counter to give your family a spot to gather around. Or, put a butcher block on one end for a prep space. For more kitchen island ideas, check out our complete portfolio on Houzz!